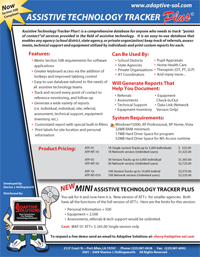 What they are saying about Assistive Technology Tracker. 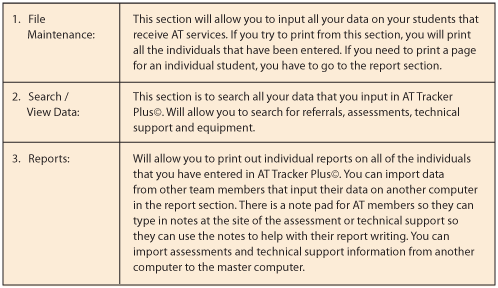 AT Tracker Plus© is a comprehensive database for anyone who needs to keep up with points of contact of service provided in the field of Assistive Technology. 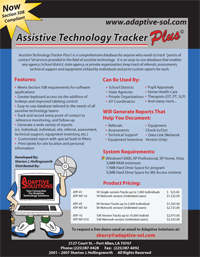 Tracker Plus, contact Adaptive Solutions. 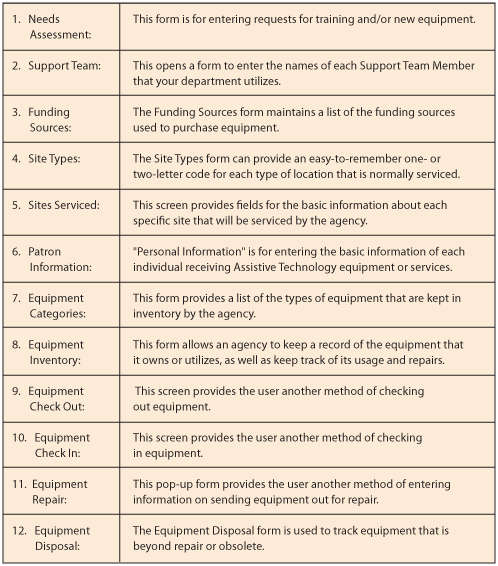 The Equipment Tracker© is an easy-to-use database that enables any agency (school district, state agency, or private organization) to keep track of all equipment owned and utilized by the agency. 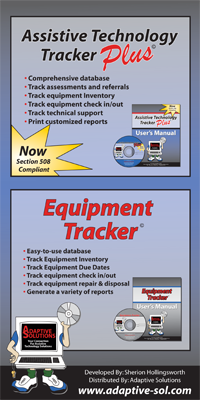 It has a built-in "check out/check in" system and records all equipment repairs and/or maintenance. 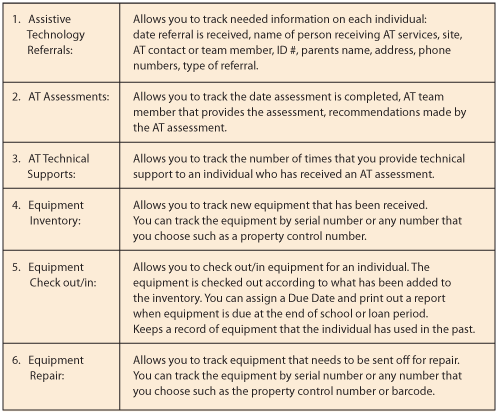 A new installation process has been developed for Assistive Technology Tracker Plus (ATTP). The installation process will check your computer to see if you have Microsoft Access Runtime 2000. If Runtime 2000 is not present on your computer it will be installed. Runtime 2000 is needed to operate ATTP. The only time that Runtime 2000 will be used is when you open ATTP. This will not interfere with the Microsoft Access Runtime for Access 2002 or 2003 already installed on your computer.